Remember a few years ago, when it seemed like every other week brought a new initial coin offering? Remember when those ICOs mostly just stopped happening? There’s a reason for that. The crypto space has changed in more ways than bitcoin’s recent nosedive. In this week’s episode of Industry Focus, host Nick Sciple interviews Courtney Rogers Perrin and Joshua Lewis, two crypto and blockchain attorneys from Frost Brown Todd, about crypto regulations — where we are today, what it means for businesses, and what could change in the next few years. Find out how international laws and regulations do and don’t factor into crypto exchanges, why Walmart‘s recent blockchain move is such a huge positive signal for the industry, which U.S. states and cities are vying to be America’s blockchain hub, and more. This video was recorded on Feb. 7, 2019. Nick Sciple: Welcome to Industry Focus, the podcast that dives into a different sector of the stock market every day. Today is February 7th, and we’re talking cryptocurrency. I’m your host, Nick Sciple. Cryptocurrency and blockchain experienced a huge surge in interest throughout 2017 as prices skyrocketed, with bitcoin reaching nearly $20,000 in value in December. However, in 2018, prices declined precipitously. Bitcoin now sits more than 80% below its highs. While price movements received most of the attention in 2018, the business environment for crypto assets has continued to evolve, particularly with regard to regulation. Two weeks ago, I spoke with Courtney Rogers Perrin and Joshua Lewis, two attorneys practicing in the area of blockchain, cryptocurrency, and financial technology, to better understand the state of crypto regulation today and how it might evolve in the future. I hope you’ll enjoy our conversation. All right, today I’m joined by Courtney Rogers Perrin and Joshua Lewis via Skype. Courtney and Joshua are attorneys from the firm of Frost Brown Todd in Nashville, Tennessee. They practice in the areas of blockchain, cryptocurrency, and financial technology. They’re joining us here today to talk a little bit about what’s going on with cryptocurrency regulation. Courtney and Joshua, thanks for coming on Industry Focus! Joshua Lewis: Thanks for having us! It’s good to catch up with you again! Sciple: For our listeners, Josh and I went to law school together. Josh and Courtney both just published an article back in December in Bitcoin Magazine talking about what’s been going on with crypto regulation. When I found out that Josh was doing stuff related to crypto, that’s stuff a lot of our listeners are interested in, I thought I had to have you all on to talk about it. The first thing I want to ask you guys before we get too deep into what’s going on from a regulatory perspective is just, how did you all get involved in this space in the first place? What’s led you all to this crypto practice? What services are you offering to your clients in this space? Courtney Rogers Perrin: I’m a little bit of a legal nomad. I started out working for the court system, then I moved up to New York City, where I worked in corporate restructuring and also worked on a trading desk. That was a lot of fun. Got to see lots of cold winters up there. Then I moved back to Nashville, where I became more of a finance attorney, and then switched over to payments. All of that has converged into, now I’m a blockchain attorney, as well. It’s been great to have this myriad background to draw on when advising clients. It’s really the perfect place for me to work because I get to learn every day because it’s such a nascent industry that’s developing. You get to think outside the box and also evaluate what’s in the box already and see how it fits in. Lewis: I graduated law school last fall, but I started working with Frost Brown Todd on blockchain matters in the summer of 2017. When I first got familiar with the technology, I was absolutely floored. I knew it was what I wanted to do. I knew that it was going to, if not be world changing, at least industry changing. I think it’s on the path to being that so far. I’m looking forward to being a part of that movement over the next couple of decades of practice. Sciple: It’s definitely been an interesting and evolving space. We saw cryptocurrencies have a run-up in price back in 2017. This year, they’ve had a little bit of a come-down to earth. What’s been the reaction from your clients to the volatility in the market? How has the business flow been impacted by that, if at all? Rogers Perrin: The business flow has definitely been impacted by Crypto Winter. We have a lot of clients who have substantial holdings and assets in cryptocurrency, so they end up needing to find investors or to put projects on hold while the valuation is low. We’re an innovative firm in the sense that our law firm will allow clients to pay in bitcoin. We do convert it immediately, but still, that makes it challenging for clients who have bitcoin that has suffered rough evaluation in the past year. Also, you’ve seen a lot more development in the space, which has changed how things are moving forward. About a year ago — actually, it was more like two years ago — everybody wanted to do an initial coin offering. You saw the peak of it in November, December of 2017. Then, throughout 2018, you saw the regulators come in and start wanting to make sure everything was subject to existing law and figure out how things fit in to the existing framework. That had a chilling effect, as well. Sciple: Let’s talk a little bit about what the law is saying about cryptocurrency. One of the biggest questions that folks have had is, what even is a cryptocurrency? It straddles several different asset classes. You have the SEC coming out saying that most of these are securities. You have some folks saying, “Hey, at the end of the day, this is code, and code is a form of speech, therefore it should fall into that category.” How have we seen things develop in the past year? Do we have any clearer picture in 2019 about what a cryptocurrency really is, at least under the law? Rogers Perrin: I think we have a lot clearer picture of what the regulators think it is. Various individuals at the SEC have come out and said almost every initial coin offering they’ve seen is a security, with the exception of bitcoin and Ethereum, which weren’t launched as ICOs. So, you have that. Then, you have to CFTC taking a position that bitcoin options are governed by them, and that they can evaluate that. You have the IRS treating it more as a capital asset. You see different regulation across the board. Of course, you have FinCEN, which treats it as currency. You have a different regulatory application from each different organization, and then you have certain individuals like Congressman Darren Soto, who is looking at trying to create a clearer framework where you don’t have myriad organizations regulating it in different ways. Lewis: Yeah, there has been some litigation lately in the First Amendment, free speech space, regarding crypto, but that’s mostly involving the SEC’s strategy of imposing blanket gag orders on entrepreneurial crypto start-ups as part of their settlements with them. So the SEC will come in after these start-ups do an ICO to try and raise money, they’ll say, “Your ICO wasn’t in compliance with securities regulations, and if you want us to leave you alone, we’re going to force you to not speak about your business, not speak about the offering that you did,” and things like that. That’s been the extent of the First Amendment movement so far. I think that ultimately, cryptocurrency and the code underlying it is a product. It’s a set of words and numbers, yeah, but in the same way that a drug is a set of chemicals. If the government can regulate products, they’re going to have a strong argument that they can regulate cryptocurrency and the blockchain and the apps that run on them. Sciple: Yeah, when you talk about regulators, they exist to regulate. You’re going to see that. One of the phrases that I’ve seen a little bit around this area is the substance over form argument. You can say this is code, but at the end of the day, we’re trying to use it for security transactions. That’s how things have shaken out. When you’re advising your clients, we’ve talked about, we’ve got several different regulatory agencies asserting their little territory when it comes to crypto. What’s been the challenge when it comes to advising your clients on how to navigate the regulatory framework as it’s evolved? Rogers Perrin: It’s murky. That’s the challenge. A client would love to come to you and say, “Hey, I have this question,” and then get a response back. “Well, here’s your answer. If you do this, you’re totally fine. You’re in compliance with the law. That’s all you have to do.” But that’s not something that we can say right now. We can say, “Here’s the guidance that’s been issued thus far. Based on this guidance, we can advise you that we think the regulators would look at it this way. If you’d like, we can send an informal request or a more formal request for guidance from the regulatory agencies.” Some clients want you to do that, others don’t. You can get a little bit more information. But ultimately, it’s developing. Recently, the CFTC put out a request for information on what Ethereum is and how it should be treated. You see the regulator grappling with this, too, of how they’re going to regulate the industry, what exactly are the roles going to be, and what buckets do they fit in? Are there existing buckets? FinCEN has said, virtual currencies have been regulated since 2011. Well, that’s pretty early. That guidance came out, that virtual currencies and ICOs have been regulated by FinCEN since 2011, that guidance came out in 2018. So, it’s a hard area to give advice in. The best thing you can do is just tell your clients what the existing lay of the land is, and then provide an educated assessment of what the regulators might do going forward. Sciple: Right. An ounce of prevention is worth a pound of cure, that type of mentality when it comes to thinking about how to comply with these regulations. You mentioned FinCEN and what they’ve been starting to do. Your article that you wrote back in December, you talked about additional fence and guidance coming down to clarify that cryptocurrencies are subject to the Bank Secrecy Act and all the know your customer and anti-money-laundering rules that come along with that. When you’re advising your clients about how to comply with these sorts of regulations, what’s entailed in complying with these anti-money-laundering rules? What extra burdens is this placing on folks trying to do an ICO or do business in the crypto space? Rogers Perrin: FinCEN has come out and said that all ICOs are money services businesses, and if they accept currency in exchange for their token or their coin, they’re money transmitters. Well, that creates an enormous compliance burden for most clients. To be registered as a money services business, well, that part isn’t particularly expensive. You then have to be registered as a money transmitter throughout each state in the United States. That comes at a pretty enormous cost. A conservative estimate between all the fees, in addition to the legal cost, is something around $1 million for compliance. That’s a pretty steep task for an ICO that’s just launching, which I think has had a real chilling effect on ICOs being launched this year. That letter came out in February 2018, and you haven’t seen that many ICOs throughout the United States since then. For plain-vanilla KYC/AML, if you make the assumption that anybody dealing with a token has to have a KYC/AML program, then you go forward and just do a normal BSA plan. A normal Bank Secrecy Act plan regards looking at everything and assessing your risk. You do what’s called a risk assessment. In that risk assessment, you try to assess what level of threat is presented by your enterprise. Can you move buckets of money over to Syria and buy weapons with your program? If you can, then you’re going to need a much stricter program to evaluate who’s buying things and who’s doing things on your platform. If your platform is such that the only people that can access it are people sitting at home knitting, and it’s for knitting programs of some sort, then you probably don’t need a very robust KYC/AML program because the risk is really low. So with each of those, you have to really look at the individual company and create a bespoke plan based on the risk inherent in the program. Sciple: Following up on that, when you talk about the risk that we can’t track these transactions, one of the big factors behind crypto and this whole industry is the ability to be anonymous. It’s difficult to track the transactions that users of these coins are engaging in. What kind of challenge does the anonymity that crypto is designed to provide place for someone that’s really trying to comply with the regulation and do what they need to do to know who their customer is and prevent money laundering? Lewis: That’s a great question. That’s another emerging area of law, too. I can think of one really good example that shows how the scene has changed, even since I got involved just a year and a half ago. In June of 2017 when I first started to play around in the crypto space, I could log into coinbase.com with a username and password and gamble as much of my law student salary as I could afford. Ripple or Ethereum or, at that time, just bitcoin. Now, if you want to log into that same website and spend any money at all in crypto, you’re going to have to go through KYC/AML procedures that Coinbase is now subject to because of the BSA. You’re going to have to scan a copy of your ID, you’re going to have to verify your identity, you’re going to have to provide two-factor authentication. These are all things that investors have to do as a result of these regulations coming down. On a peer-to-peer basis, the KYC/AML regulations don’t have much effect. If you and I, Nick, want to enter into a transaction for a ticket or something like that, KYC/AML is not going to impact us. I can still buy an Alabama football ticket from you for 10 bitcoin. Well, I guess it would be like 0.0001 bitcoin. But, if you, in turn, wanted to start a business that involved crypto, if you wanted to start a StubHub-style business where you exchanged tickets for cryptocurrency, all of a sudden, you’re going to be subject to these KYC/AML restrictions. And if I want to buy ticket from you, I’m going to be forced to submit my ID, make sure that my identity is verified. It places an enormous burden on the user end of things to verify their own identity, which in turn decreases customer flow to places like Coinbase or your hypothetical StubHub-style business. Sciple: [laughs] Wow, you need to watch out! Sciple: So it sounds like what you’re saying is that on that exchange level, Coinbase or the other operator, where I’m going, I’m taking my U.S. dollars, and I’m buying a crypto asset, that’s the position where the regulators can really do some work when it comes to regulating the exchanges. But once you get down to that crypto exchange level, peer to peer, it’s where you run into some issues. Would that be a correct characterization? Lewis: Yeah, I think that’s exactly right. Rogers Perrin: It’s kind of like Venmo. If I want to send you money by Venmo or Zelle or any of these other entities out there that allow peer-to-peer payments, I don’t need to be a money services business or a money transmitter regulated by FinCEN in order to send you, Nick, some money on Venmo. But Venmo has to be registered. Sciple: We spent some time talking about what’s going on in the U.S. when it comes to regulation. Let’s talk a little bit about, these crypto assets, you can exchange them over the internet, so borders really aren’t as significant as they might be for a more traditional banking operation. When you talk about exchanges that might be based overseas, Binance is an example of one of those, are there limits to what U.S. regulators can do to enforce their rules on these exchanges? How are we navigating the cross-border issues when it comes to crypto? Rogers Perrin: I think where there’s a will, there’s a way. There have been a few cases of particular egregious dark-web behavior where people have moved mountains of money through shadowy cryptocurrency markets. I’m forgetting the guy’s name right now, but he’s presently sitting in a Greek jail awaiting extradition to either France, Russia, or the United States for violations of KYC/BSA-type rules throughout the United States and Europe. That’s something to keep in mind: The United States isn’t the only nation that has KYC/AML/BSA rules. Other nations have their own rules, but similar in content in the sense that they require information on the transactions and on the individuals behind the transactions, with all of them being united to the goal of trying to thwart criminal enterprise. Also — and this was something that I hadn’t realized until I got more into this space — because you have certain nations like China who has pretty strong regulations against cryptocurrency, you can geofence off certain areas. Even though it’s a decentralized worldwide system, sometimes it’s possible from the very beginning to fence off different things. Sciple: When you think about what you need to do from a compliance perspective on the U.S. side, how much cooperation do you need from abroad, or with that, the ability to wall off different parts of the internet, can you do everything you need to do from a compliance perspective here in the U.S.? Or do you need to engage local counsel or representatives in the countries that you’re trying to do business in in addition to what you all are doing in Nashville or elsewhere? Rogers Perrin: It really depends on the individual business and who they’re targeting. If we have a client that comes to us and says, “Hey, we’re planning on doing substantial movement of funds in the U.K.,” one of the first things we’re going to say to them is, “You need to get U.K. counsel or someone well versed in U.K. law to help you with that to make sure that you’re in compliance.” If it’s somebody who’s gearing everything to the United States, then if you have a few interactions with other nations, yes, they’re subject to those rules there, but you have to always balance this from a risk-reward standpoint. Do they want to do a fulsome compliance program with, say, Spain — I’ll just grab a random country — based on one transaction that happened there? No. But should they have a system where they can’t do that transaction with Spain, so they don’t have to worry about that? Absolutely. So, it’s up to the client to figure out where they need to focus their efforts and their energies, even though, of course, our official advice is to be in compliance in all jurisdictions in which you do business. One of the things that we have encountered consistently are clients saying, “Hey, I’m a little concerned about the United States regulations. Can I just domicile my business in the EU or Singapore or the Philippines or wherever and not worry about the United States rules?” Well, it doesn’t work like that. If you want to stay away from the United States regulations, then you need to not take money from United States citizens, you need to not do transactions with U.S. citizens or within the United States. FinCEN has taken a very, very broad view, and so has the SEC on some level. If your counterparty is a U.S. citizen, they’re going to say that you’re subject to their rules. Lewis: You’re right to a degree. That works in situations where it’s like the EU or China or one of FinCEN’s 37 member countries. But I was at a meetup for blockchain businesses international a few months ago, and we heard a pitch from a developer who was working on a lot of business in Sub-Saharan Africa, where there’s no institutional financial regulation scheme like we have in the more developed world, or in Europe or the United States. A lot of their business development involved actually flying over to these countries and meeting individually with government members to try and convince them on a one-on-one basis, because there’s no regulatory scheme, like, “Hey, this is what the rules should be, this is what it shouldn’t be. This is why our business should be allowed to operate. This is why this other business shouldn’t be allowed to operate.” The Wild, Wild West has fled from places like the EU and the U.S., but there’s still a lot of gray area out there in places where more established financial schemes aren’t in place. Sciple: Sure. When we talk about what’s going on internationally, you mentioned the Financial Action Task Force, it’s 37 member countries around the world, expected to bring out some additional guidance in June about how all those member countries are going to work together to enforce know-your-customer and anti-money-laundering rules. What are we seeing from that body? Is that promising from a compliance perspective in making things a little bit easier to navigate for business owners and folks trying to practice and do business in the crypto space? Rogers Perrin: I think it’d be really helpful to get guidance from them on how all the member states will work together. That guidance is just that guidance, it’s not binding to the nations that are a party to it. So it’ll be interesting to see what level of adoption it gets. Also, one of the things I was chatting with some people about recently is, we’re all looking forward to getting some guidance on accounting standards from an international level as well. That varies tremendously throughout the world, too. It’ll be interesting to see what those different bodies come up with for guidance. Sciple: When you mention accounting standards, are you talking about taxation? What’s the thread to pull there? Rogers Perrin: Yeah, it’s how they’re taxed from an income level, but also how they’re booked and how those assets are treated in different jurisdictions. For obvious reasons, it would be good if they’re treated similarly across — well, I shouldn’t say it would be good because there’s a chance to make profit when they’re not just treated the same. But from an efficiency standard, it would be nice if they were all treated the same throughout the world. Right now, that’s not the case. You have different nations coming to different decisions about whether a cryptocurrency is a currency or whether it’s an asset that you hold or if it’s stock. What is it, exactly? That guidance would be helpful. Lewis: We should note that it’s good for us as attorneys when the rules are clearer because it allows us to do what Courtney described earlier and come back and say, “Here’s a rule A, B, and C. You should take steps X, Y, and Z to comply.” But I’d say most of the actual participants in the industry would prefer less regulation, certainly at least at the user level, and who believe that things like FATF’s move are overreaches or constitute too much regulation. They believe that, as you talked about earlier, Nick, the decentralization and lack of regulation inherent in the cryptocurrency space is what gives it its potential. The crypto space itself is bemoaning these FATF and SEC actions pretty much across the board. Rogers Perrin: But in the same sense, as the industry becomes more mature, it allows for more investors to get involved. Right now, you see certain industries like, say, traditional banks, they don’t necessarily want to have bank accounts that are associated with cryptocurrency because they’re waiting to get better guidance on it. Once you have better guidance on it, then suddenly your more traditional banks can go ahead and do bank accounts and do banking for different companies in the cryptocurrency or blockchain arenas. That’s helpful. It’s really frustrating to have a client that wants to pay its people in U.S. dollars, and they can’t get a bank to help them. Sciple: Yeah, and we’ve seen some banks invest pretty significantly in blockchain. Just to call out one, JPMorgan has several significant patents in that area. As we talk about the differences in crypto regulation among countries and how it’s starting to evolve, and maybe to bring things more in line from country to country, are you seeing any countries out there that provide a model for maybe something that we should adopt in the U.S.? Whether it’s from a customer-centric point of view or whether it’s good for business, is there any country you think is doing it the right way when it comes to crypto regulation right now? Lewis: It’s interesting you use the words “the scheme that’s good for business.” Like Courtney said, from one perspective, if you’ve got a large start-up that’s pretty established and you want to operate out of Cupertino, you want to work in a jurisdiction like the United States, where regulations are getting promulgated. But at the same time, if you’re a smaller start-up, you have a more out-there idea, you want to work in a place where it’s easier to raise money. A lot of the ICOs that were being done two years ago, as Courtney mentioned, were raising enormous amounts of money, north of $100 million for ideas that otherwise probably wouldn’t have been able to raise that amount of money if the investments have been subject to traditional regulations. You’ve got scale. On one hand, you’ve got China, which bans cryptocurrency and blockchain pretty much entirely. On the other hand, you’ve got countries like Singapore, where the country’s central bank is actually specifically helping crypto start-ups open bank accounts. I guess the answer to the question is, there isn’t any one jurisdiction that’s necessarily doing it right with a capital R. There are a range, a palette of countries that the U.S. is going to have a choice to choose from as it models its regulations going forward. Rogers Perrin: Yeah, I don’t know what “right” is in this case. One thing that I find really interesting is what Estonia has been doing. They’re becoming a smart country. They’ve moved voting onto the blockchain, they’re working on doing national registry cards by blockchain. That’s much broader than just cryptocurrency, obviously. I find it really fascinating to watch, and I look forward to seeing how it develops there. I would love to be able to avoid DMV lines for the rest of my life, and they’ve come up with a system that allows you to avoid that. Lewis: The U.S. is watching, too, the palette that I mentioned earlier. Courtney mentioned the voting. West Virginia did a pilot blockchain-based voting app for service members abroad in this past election cycle to see how it worked. That’s something that they’d seen work overseas and decided to bring stateside. I talked about Singapore’s central bank specifically helping crypto businesses. In Wyoming, the legislature recently passed a bill purporting to specifically create…it’s not exactly a bank, but it’s a bank-like entity that would allow businesses, like Courtney was talking about, to deposit crypto, withdraw U.S. dollars, keep money in an actual account as opposed to having it in the digital world. So people at home are watching what’s happening overseas. Rogers Perrin: Going back to your original question, we saw New York State come out with strong regulations right at the very beginning. I can only imagine that the regulators were hoping that would spur development within their state. It didn’t quite have that effect. Instead, people have looked at the BitLicense regime and just said, “You know what? That’s really complicated, how about I not be in New York?” That’s just what we’ve seen, boots on the ground, is people saying, “I’m going to choose New Jersey or any other state in the United States. If I need to be physically near New York City, I’ll take New Jersey.” That’s something we’ve seen people do, is to shy away from that. So now you have a bit of an arms race with different states trying to regulate in a way that they think would be most effective and most helpful to generate business within their state. Sciple: Sure. To follow up on that, just curious, is there any state that’s really positioning themselves to be the crypto hub? Delaware is where everybody goes to incorporate their business; is there going to be a Delaware of crypto in the U.S.? How are things looking from states when it comes to racing to make things the most business friendly for these ICO and crypto businesses? Lewis: It’s a Delaware 2.0 arms race. In fact, a lot of states that have had state legislature initiatives and discussions have specifically said, “We want to be the Delaware of cryptocurrency,” because it’s a whole new industry with a market cap of north of $100 billion at times that’s just materialized out of thin air. Those businesses presumably will eventually sift down to one location. As far as specific states that are in the running, New York was in the beginning, just by virtue of being the financial center the United States. But, as Courtney mentioned, the BitLicense scheme, there was a mass exodus of businesses from New York after the licensing scheme got past. I think Chicago is a leading contender. Illinois has established a working group specifically to work with blockchain businesses and start-ups. Illinois has established some pretty lax laws. Wyoming, I mentioned a second ago, has specifically come out and said that it supports blockchain businesses and has done things like relaxing its AML/KYC requirements at the state level for blockchain businesses, and, again, creating that bank. A lot of it right now is conjecture. How much a state legislation or state regulatory scheme impacts the day-to-day business of a blockchain business that’s going to be presumably working across the country and also internationally, where things like the BSA and international regulations apply, is to be seen. But at the very least, the states are saying right now, “I want to be the one to grab the most headlines.” And I think that places like Illinois and possibly California or Wyoming are in the front running. Rogers Perrin: You definitely see it coming out from all the different states, but you see different states approaching it in different ways. In Tennessee, there’s been legislation passed that smart contracts are contracts. In Delaware, you see that they’ve passed legislation saying you can do all of your corporate record-keeping on smart contracts. You see different states implementing little pieces of the puzzle. I think it’s yet to be seen which piece is the most attractive and will garner the most voting boots with the feet to that state. Sciple: Sure. I want to transition, we’ve talked a lot about the crypto regulatory environment and where things have progressed and the question marks that are present in the industry right now. I want to talk about, when you advise your clients, and a client comes to you and says, “I want to do an ICO to fund my business,” or whatever application they would like to do, given the uncertainty in the regulatory environment and the way things are evolving from a legal point of view, what are the advantages of an ICO that make it attractive given the question marks from a regulatory perspective? Rogers Perrin: A lot of it is from the marketing standpoint. Coming out and saying “Hey, we’ve got this ICO” still sounds interesting and attractive. What you can accomplish with an ICO is something that you can accomplish through a number of other resources, from either crowdfunding or seed funding or series A financing. There are a lot of different ways that you can accomplish the same thing. To do an ICO and not be listed as a security, you have to fall into an exemption, and one of those exemptions is selling only to accredited investors. So from that standpoint, you’re acting an awful lot like a normal series A offering. It just really depends on why the client wants to do it, if it’s more of a marketing ploy, or if there’s some sort of utility behind it. If there is actual utility behind it, then you might be looking at more of a utility token. That’s different. Think of it as the Chuck E. Cheese token that you put into the game at the…what do you call that place? Lewis: Would you say, Courtney, that it’s easier to do an ICO right now than a full IPO or a full securities offering, or that there’s any regulatory advantage at all? Rogers Perrin: It’s easier from the standpoint of, you can go do it. Right now, with an IPO, due to the government shutdown, you can’t do an IPO right now. You’re not able to move forward at the SEC. You could do an ICO because you don’t need the SEC to take actions for that. You still have to follow your paperwork and do all of that, I’m not saying you’re exempt at all. I’m just saying that you’re not waiting for a stamp of approval to proceed any further. You file your paperwork and you can go forward. From that standpoint, it’s easier. From the standpoint of who has a clearer trajectory, an IPO has a clear and established history. An ICO doesn’t. Your chance of enforcement, I would say, is less, of the SEC or any other regulatory body coming back after you and saying, “Hey, you didn’t do that right.” That’s much less with an IPO because you have an established, clear-cut path to follow. Sciple: For our listeners that might not be familiar with the accredited investor process, what are the limitations placed by only being able to offer your security or your asset to an accredited investor? How is that different from the universe of potential investors offered by an IPO? Lewis: The requirements for becoming an accredited investor involves things like having $200,000 in annual income for the last two years or so for a single person, or $300,000 for joint income; or, if you have a net worth that exceeds $1 million, individually or jointly with your spouse. That obviously creates a pretty high bar, especially in an industry like the crypto space, where there’s not an awful lot of institutional money floating around. There’s more now, certainly, than there used to be as blockchain has gained publicity and traction. But the average guy in the crypto space is younger and probably doesn’t have a net worth of a million dollars and probably isn’t turning quarter of a million dollars a year for the last two years. Rogers Perrin: Unless he’s been mining bitcoin for five years. Lewis: Unless he’s been mining bitcoin for the last five years. That’s actually another advantage of the ICO. A lot of people sitting on a bunch of crypto are much more willing to invest that crypto in a crypto-based business, so when you run an ICO, these people who have mined bitcoin and have a higher net worth in digital assets rather than fiat currency are more willing to invest. So it’s a way to get investors that have liquid crypto sitting around as opposed to liquid U.S. dollars. Sciple: When you’re doing this ICO and you’re complying, the universe of people that you’re going to offer to are limited by the regulation as well as, as you mentioned, probably because of all the uncertainty when it comes to regulation, institutions are trying to stay away at this point in time. It’s something to think about when we’re doing the future of ICOs and what potential they might have for financing businesses. I wanted to ask you guys, when you look at what you’ve seen in your practice, and the reading and research you all do as part of practicing in this space, what do you think of as the potential for crypto when you look out five years from now? Five years from now, am I going to walk into Starbucks and be buying my coffee with a bitcoin? Are we going to be seeing IPOs being done through this crypto coin offering process? What do you think the future is of crypto as part of a broader society that we’ll be using on a day-to-day basis? Rogers Perrin: Adoption for new technology is pretty slow, generally. When you last went to purchase coffee at Starbucks, how did you pay for it? Sciple: I used my credit card. Rogers Perrin: That’s how I always do it, too. I either do that or I pay with cash. Almost all of us could pay for it with our iPhone right now, and most of us don’t. You see pretty slow adoption to new payment mechanisms throughout the United States. I would say in five years, you’re probably not going into Starbucks and using your bitcoin to do it. Now, could you do it by then? Probably. But I don’t think you will. It’s more a matter of, it might be available. I still think cryptocurrency has a lot of utility, particularly in countries like Venezuela, where you have a sovereign getting behind that specific cryptocurrency. It’ll be interesting to see how it develops as an international currency that can be used everywhere. I do think it’ll continue to grow. I don’t see cryptocurrencies in any way, shape, form, or fashion dying. I think it’ll grow. But I think the real thing that will skyrocket is blockchain. Lewis: I agree with Courtney. A lot of people don’t understand blockchain. The initial bar to entry is maybe higher than using Apple Pay on your phone to pay for a coffee. But at the same time, I have no idea how to code, and I’ve got three computers sitting in front of me in this very room. I think that over the next five years, cryptocurrency itself may not be part of our everyday lives, and we may not even know that blockchain itself has become a part of our lives, but I do think that in increasingly insidious and pervasive ways, the blockchains that cryptocurrencies are based on are going to become a part of our daily lives, even if it’s things like, for example, the companies that we buy our coffee from using blockchain to track where their products come from. Walmart just a couple of weeks ago came out and asked all of its leafy green lettuce suppliers to track their shipments from farm to retail on a blockchain. That’s huge. That’s arguably the first major industry use case where a company has said, “We think that the cheapest, best way to do this is on a blockchain.” If more businesses keep doing that, then over the next five years, we’ll definitely see adoption in ways that touch our lives, even if we’re not aware of them. Sciple: Yeah, Josh, the applications in logistics are really remarkable. I saw that same Walmart story that you were talking about. They were able to track their products from the store all the way back to the tree that it came off of in South America in a matter of minutes, vs. previously, it might have taken a week or more to track all your resources. When you look at something like, you mentioned leafy greens, like the romaine issue we had in the past year, it’d be really nice to just punch a couple of keys on a keyboard and then pull all the bad stuff off the shelf and leave all the good stuff on so I can keep eating my Caesar salad. We can only dream. One other thing I wanted to ask you about before we go away is, as we look out into 2019, what are you going to be paying attention to this year when it comes to the evolving crypto blockchain regulatory space? What do you think are the things folks should be really watching over the next year? Rogers Perrin: I’m going to be paying a lot of attention to what the regulators are saying and doing, as far as the speeches they’re giving, the actual guidance they’re issuing, and then enforcement actions they’re taking. I’m going to be paying attention to that so my clients don’t have to. They shouldn’t be bothered with paying attention to that. There’s too much going on in that space on a regulatory point of view for anybody to be involved in that besides an attorney, in my opinion. I mean, people can certainly look at it for their own fun, but from a concerted effort, I think it’s better just to hire somebody with that expertise, and then they can focus on the actual technology and developing that and moving forward with use cases. Lewis: I’ll leave the regulation to Courtney for now and say that what I’m most excited about and also most concerned about and simultaneously most interested about is the use cases I was talking about a second ago. There’s been enormous investment in R&D, and conferences where we’ve had case studies and hackathons over the last two or three years. But really, for the amount of money that’s been invested, there haven’t been a huge number of actual real-world use or test cases that have said, “Blockchain is the best way to do it.” I think that 2019 and 2020 are going to be the years where we see, is this going to always be a pie-in-the-sky idea for people who are dreamers about the future? Or, is this going to be something that your business and my business can use? Is this going to be something that I can take from my crypto client or my blockchain client to my auto manufacturing client and say, “Hey, let me hook the two of you up. I think my blockchain client over here has a really great idea that’s going to make your auto manufacturing business work a lot better.” When you get to that level of adoption, that’s when blockchains can actually take off. That’s when the crypto currencies are going to start really accumulating value. I think that’s when the work for us, and also the opportunities for the public sector, are going to start to really develop. Sciple: And all that cash flowing into those arenas is going to depend on having some predictability when it comes to the regulatory environment. All that comes together to tell the story of what we talked about today. I want to thank you all for taking time to come on the show! This is an area of the law that’s continuing to evolve. As we said earlier on the show, we’re going to see new guidance come out later this year that maybe will give us a better picture of what’s going on. If folks want to stay in touch with you and see what your thoughts are on how things are developing, is there anything you all want to promote or shout out from the firm? Rogers Perrin: Sure! We have a law firm website called blockchainandbanking.com where we post recent developments in the blockchain and banking regulatory space. We both individually have LinkedIn pages. I’m Courtney Rogers Perrin at LinkedIn. Lewis: You can search me, Joshua Lewis Frost Brown Todd to pull up my firm bio. Sciple: Awesome! Thanks so much for taking the time to come on the show! As things develop, maybe we’ll have you all on here in six months or so to revisit how things have played out. The information contained in this podcast is for educational use only and does not constitute legal advice. For legal advice on your personal cryptocurrency and blockchain-related holdings, please contact your attorney. 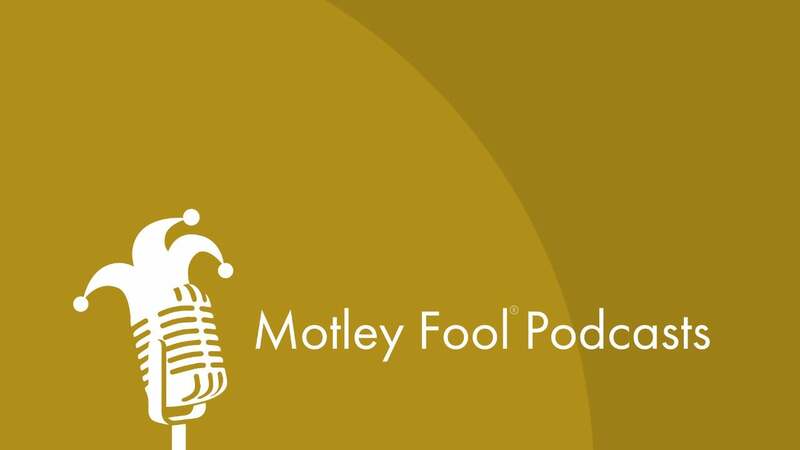 As always, people on the program may own companies discussed on the show, and The Motley Fool may have formal recommendations for or against the stocks discussed, so don’t buy or sell anything based solely on what you hear. Thanks to Austin Morgan and Dan Boyd for their work behind the glass. For Courtney Rogers Perrin and Joshua Lewis, I’m Nick Sciple. Thanks for listening and Fool on! Nick Sciple owns shares of Apple. The Motley Fool owns shares of and recommends Apple and Starbucks. The Motley Fool has the following options: long January 2020 $150 calls on Apple and short January 2020 $155 calls on Apple. The Motley Fool has a disclosure policy.